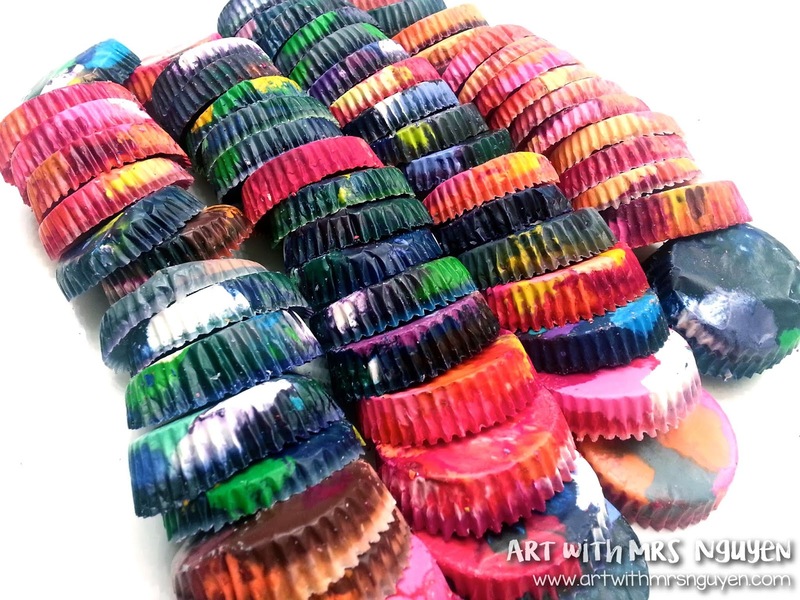 At the end of the year last year I had my kids unpeel a ton of old crayons for me in the hopes that I would make some rainbow crayons over the summer.. but it never ended up happening. This past weekend.. I made that colorful dream a reality! 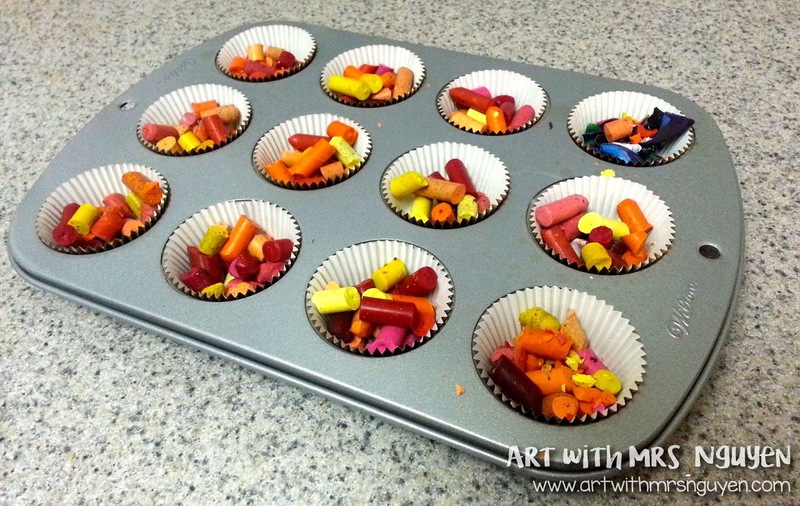 Then I decided I wanted to try muffin tins. Afraid to put the wax directly into my tins and risk ruining them (I also love baking).. I decided to see if I could use cupcake liners. Success! :) While I found that you can use paper liners (although they do stick a little when peeling them off)... foil liners worked the best (they came off super clean and could even be reused again)! I also preferred using full size muffin tins versus the mini muffin tins. 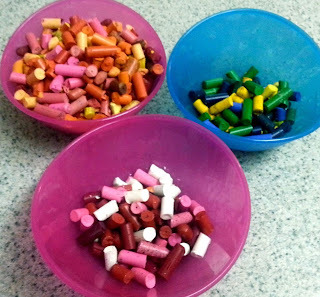 To begin with, I took several bags of old crayons and sorted them into piles of cool colors (and white), warm colors, and neutrals (my browns and blacks). This is the easiest way of sorting colors to ensure that the crayons made blend nicely together when the wax is partially mixed. If you really wanted to though.. you could also sort them into monochromatic piles (which could be cool if you were teaching tints and shades) or coloring mixing piles with two primary colors and their created secondary color (could be cool to teach about color mixing). 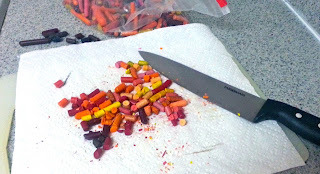 Then using a large knife, I cut the crayons down into smaller pieces (you do not have to cut them down this much.. but I enjoy cutting crayons - strange). :) After cutting them down.. 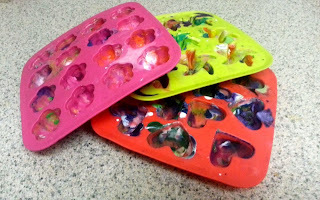 I placed the broken pieces into the cupcake liners in the muffin tin (I filled each cup around 1/2-3/4 of the way full). Then put the tin into the oven for approximately 11-13 minutes (or until all the crayons were pretty much completely melted). 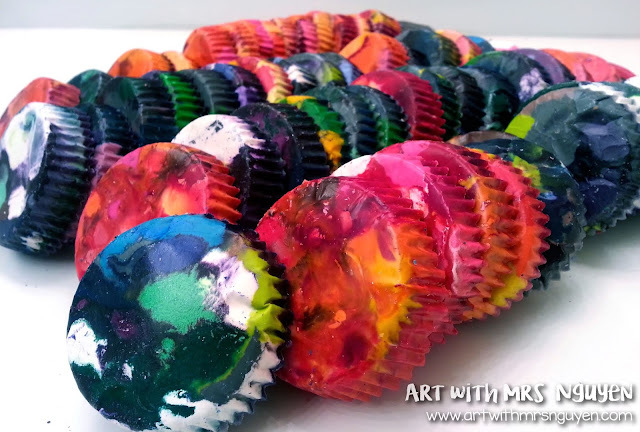 I did have the pull them out at like 11 minutes to poke around at some of my more stubborn-melting crayons with a tooth pick.. but after I poked at them and gave them another 2 minutes they all pretty much melted. You know they are done when the wax in each liner is melted and appears flat on the top. You do not want to over melt however.. because you may get some undesired effects (such as the wax somewhat separating from the pigment.. or over-melting the wax causing your colors to completely blend). 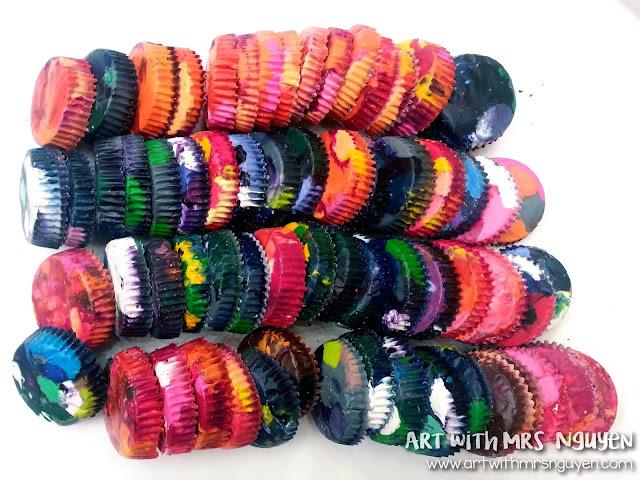 Once finished, I pulled the tins out of the oven and let them sit for a couple of minutes (at this point if you wanted to sprinkle some really fine sparkle dust (not sparkles.. but dust).. you can make some very pretty looking crayons. Once they set for a few minutes I moved them to the fridge for a bit.. and because I'm incredibly impatient.. then to the freezer. *You have to be careful with this though!! Do not leave them in the freezer for too long (over 5-10 minutes) because they will start to freeze all the way through. Then when you go to take them out of the liner you may have a few break on you. I LOVE how they turned out!! And what a great way to upcycle old yucky crayons!! :) The kids LOVE them! Awesome! I love the idea of implementing the school wide behavior system as well! 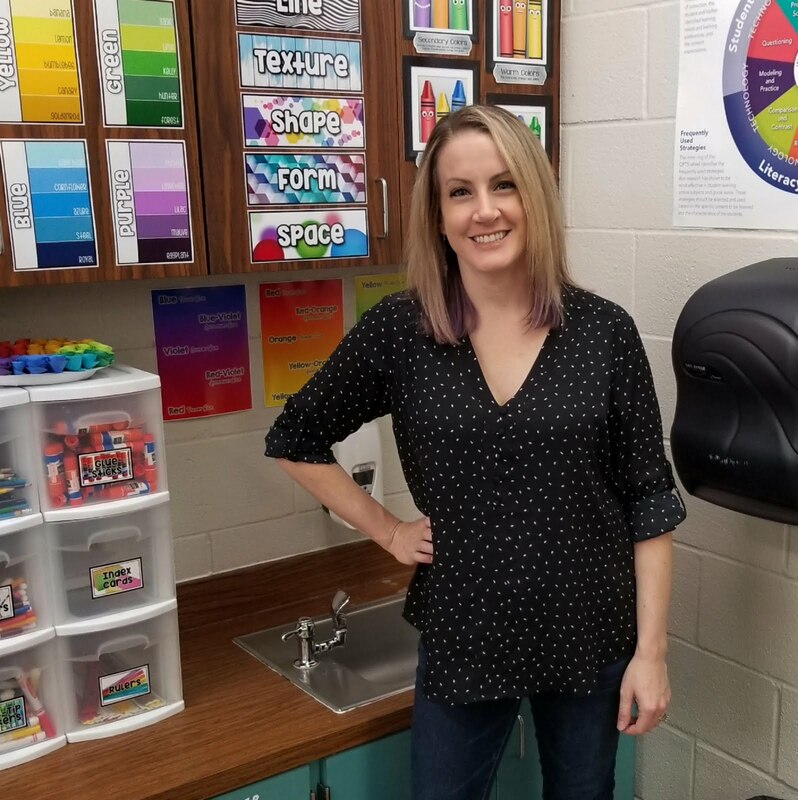 I may have to bring that idea up to my admin...we do bucket filling with the anti-bullying program, but I don't think the students get much out of it unless their teacher really does a lot with it. Thanks, I'm making rainbow crayons. These are brilliant! They should be worth a lot of "money" they are so cool. I have a million billion crayons so I might have to try this out. Thanks for the idea!